It's very easy to travel between Tokyo and Kyoto. The shinkansen (bullet train) takes around 2 hours and 15 minutes and costs Y13,080. Read on for full details. The shinkansen (bullet train) is the best way to travel between Tokyo and Kyoto. It takes around 2 hours and 15 minutes and costs Y13,080 between Tokyo and Kyoto(non-reserved seat). You don't need to reserve seats on the shinkansen if you travel outside of peak travel hours and outside of peak travel seasons. You can purchase Tokyo to Kyoto shinkansen tickets online at GoVoyagin and have them delivered to your Tokyo hotel. See below for English-language shinkansen timetables. There are also night buses between Tokyo and Kyoto if you want to save money. The best way to travel between Tokyo and Kyoto is the shinkansen (bullet train). The fastest type of shinkansen, called the Nozomi, takes around 2 hours and 15 minutes and costs Y13,080 for a one-way trip in an unreserved seat. 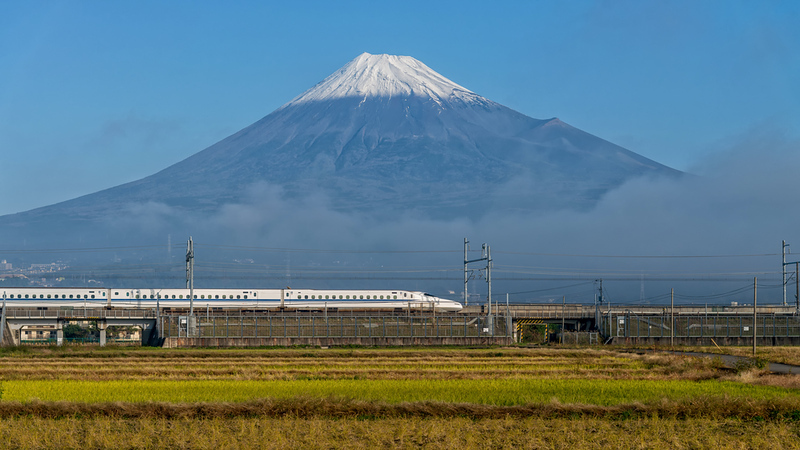 Note that you cannot ride the Nozomi shinkansen with a Japan Rail Pass, but you can ride the next fastest type of shinkansen, which is called the Hikari. The Hikari takes about 2 hours and 30 minutes between Tokyo and Kyoto, so it's almost as fast. Do NOT take the slowest type of shinkansen (the Kodama) as it stops a lot and is much slower. In Tokyo, you can catch the shinkansen at Tokyo Station or Shinagawa Station. All shinkansen stop at both stations. I like to get on at Tokyo Station because it's the first station so I can usually get a seat. 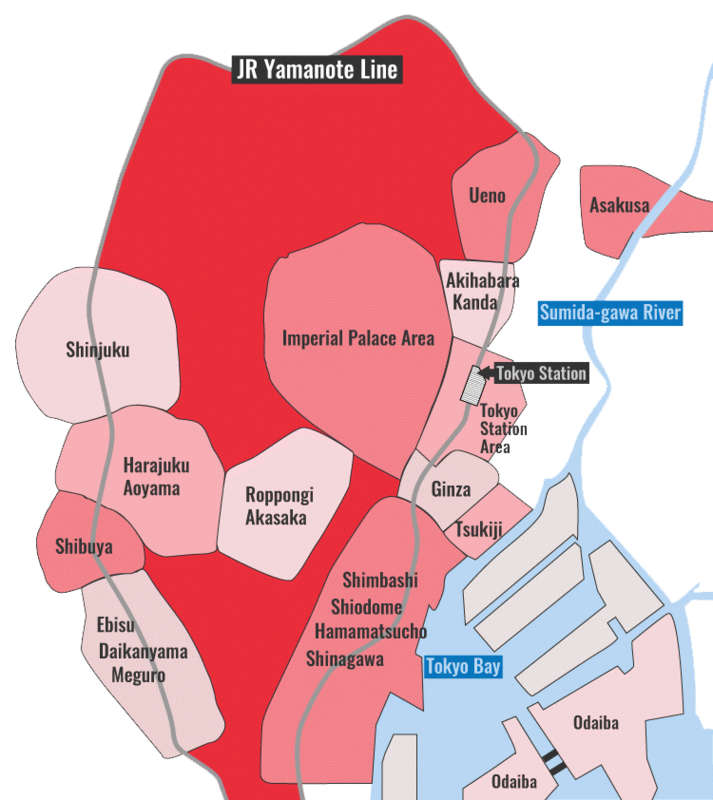 However, if I'm coming from Kyoto and want to switch to the Narita Express, I sometimes switch at Shinagawa, because it's a short walk from the shinkansen platforms to the Narita Express platforms at Shinagawa and it's LONG hike at Tokyo Station. This would also hold true in the opposite direction (ie, if you want to switch between the Narita Express and the shinkansen and go straight to Kyoto, it's easier to switch at Shinagawa). In Kyoto, the shinkansen leave and arrive at the shinkansen platforms on the south side of Kyoto Station (clearly marked from everywhere). Do You Need Reserved Seats on the Shinkansen? Normally, you don't need a reserved ticket to get a seat on the shinkansen. Just buy an unreserved ticket and show up and board the next shinkansen going your way. However, if you are traveling at rush hour (between 7am and 9am and 4pm and 7pm) or during peak travel seasons (31 Dec-3 Jan; the first week of May and mid-August), consider buying reserved tickets in advance. With a Japan Rail Pass, you can make reservations at any JR ticket window, up to one month in advance of your travel. You cannot reserve from overseas. HINT: If you have unreserved tickets and you find that the unreserved cars are full on the next train heading out, just stand in line at the boarding spot for the next train so you can board it first – this will usually guarantee a seat and you probably won't have to wait more than 15 minutes. If you're on a tight budget, you can save a lot of money by taking a Willer Express bus between Tokyo and Kyoto. These buses take around 8 hours and cost about Y7,000. In Tokyo, these buses operate from the Willer bus terminal in West Shinjuku. In Kyoto, these buses operate from Gion Shijo Station. For more information and online ticket purchase in English, visit the Willer Express Bus site. Another cheap option for traveling between Tokyo and Kyoto is a JR night bus. These night buses take about 7 hours and 30 minutes and cost an average of Y9,400. In Tokyo, they leave from the JR bus terminal outside the Yaesu South Exit in front of Tokyo Station. In Kyoto, they leave from the JR bus terminal in front of Kyoto Station. Unfortunately, there is no English-language site for JR highway buses. So, for inquiries and ticket purchase, go to any JR ticket window or any travel agent in Japan.